An awesome new blog post from GatherContent lays out three points to consider when you’re creating content. The questions it suggests you ask yourself are: 1) How well is this content communicating its intended message and purpose by speaking to emotions, not just logic? 2) Alongside factual information and statistics, how present are relatable human experiences within this content? 3) Would metaphors, diagrams, images or data visualisations make the subject of this content more vivid to the reader? From my perspective as a content creator with a focus on community, there’s one more point that hits home: familiar faces, places, situations, and feelings. You want to create content that your potential customer can see themselves in (or their neighbor, or daughter, or cousin…), either literally (actually showing your customers) or by proxy (show people they can easily relate to). The kind of documentary work I’ve been doing for brands lately has shown that content that shows faces sells and shares… from the photos I’ve shot for Purity, like the featured image above, to my recent work with Renovus. 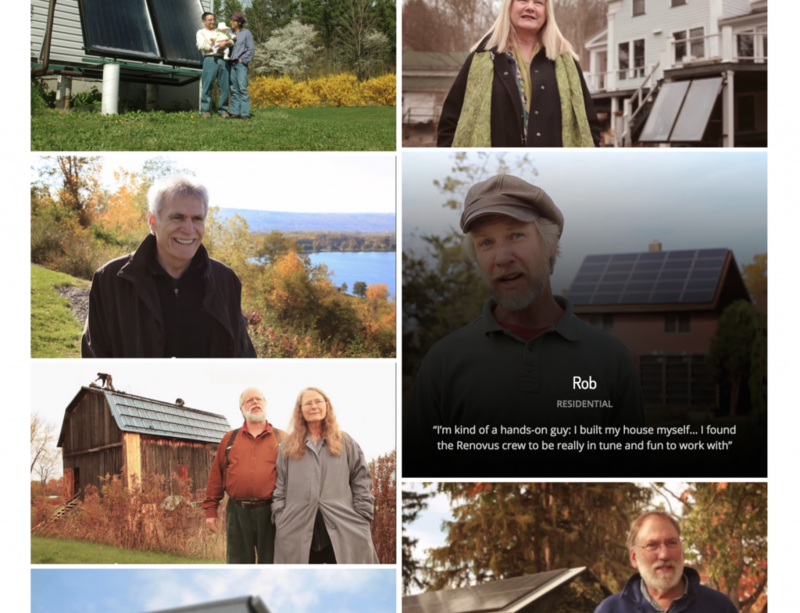 A slice of the customer stories page at renovussolar.com… smiling faces! I worked with Renovus to develop a content-first website strategy for a website re-launch, with a focus on customer stories. The first month of analytics has shown, already, that people check out the ‘team’ page and customer stories before they even dig into details about services. Because? Faces. Friends. People. Relatability. On the customer stories page, we also gave visitors the opportunity to self-identify as potential residential or commercial customers, making the selection of customer stories even more relevant. See more of my work with Renovus at allisonusavage.com/portfolio/renovus-solar. What faces can you show in your content? Show your customers you’re proud to have them by sharing their faces and their stories– it pays off.